Signalling sequence control box for 85/57 type alarm sequence with low space occupation at the front face. 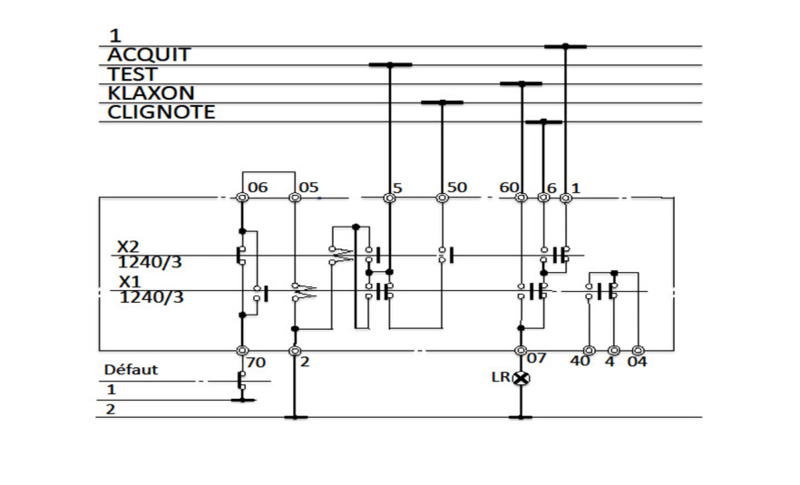 From an RTM type control box, the sequence relay is based on a wired logic, itself based on two type 1240 instant relays. The control box connection makes it possible to have several sequence configurations, as in the case of the fugitive fault for example. epoxy printed circuit 16/10ths single face, 70 μm varnished.